STARS: Various chimps, dogs, cows, pigs, squirrels, bears, etc. 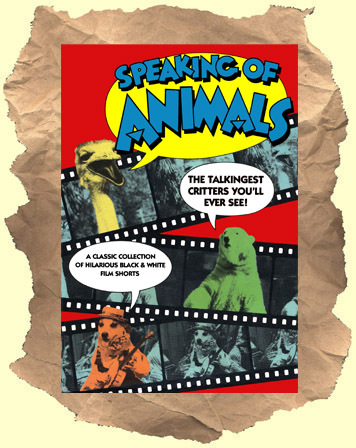 SYNOPSIS: Rare collection of comedy shorts from the 1940's featuring tricky (at the time) manipulation of film footage to make it appear that various animals are interacting, talking and getting into comedy hijinks. Almost two full hours of classic Black & White laughs.